“His seed shall endure for ever, and his throne as the sun before me. At the time of this writing (Aug 10, 2009), COM’s web site is one week away from going public. We have been testing our beta site for 2 weeks. Without any announcements, there have been several global comments and all were positive. We had about a dozen donations, mostly from testing the web-site’s e-commerce flow but also a few cash contributions. Most inspiring to date was $6 from Zach, a seventh grader with a keen interest to be an astronaut. We believe COM is the first Christian Space Mission to the Moon. We are negotiating with a capable technical team who could safely transport the cross and robotically place it on the moon. The ticket price for any “moon bus” is expensive but we are not shoudering the costs alone. We hope to announce the name of the private enterprise soon. They and COM do not have conflicting interests. In September, COM plans to post a Christian music video. We appreciate your prayers. COM’s success will only be because our Lord is in control. We are servants using the gift and umbrella of grace He provides. There have been Christian space missions if you consider evangelists using commercial satellites to preach the gospel to millions. Then there was Buzz Aldrin conducting holy communion in private from the moon during Apollo 11. 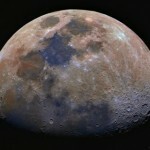 But a new 501C-3 corporation plans to charter a ride to the moon for a very special and publicly visible mission. Clark adds that the accomplishment of placing a cross on the moon is much like building a fine cathedral dedicated to Christ. It will take the skills and dedication of many. 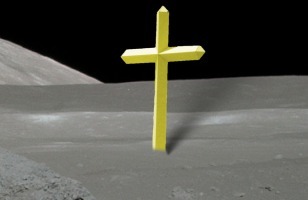 Once placed on the moon, the cross will endure longer than any man made object on Earth. 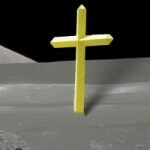 The Cross on the Moon Foundation is comprised solely of volunteers. There are no salaried executives or hired fund raisers. Instead, the organization believes their web site will receive donations from around the world to make this moon mission a reality. 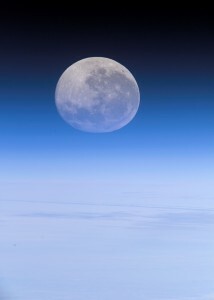 Does the distance from the Earth to its moon stay the same? Are there any active robots on the moon now? 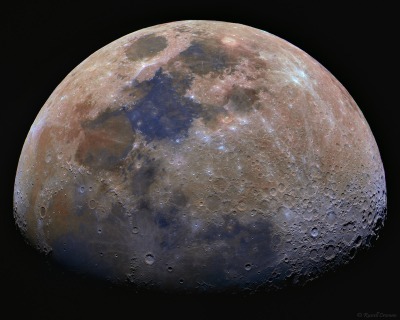 What is Google’s Lunar X Prize? 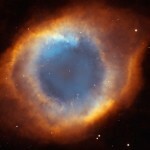 Cambridge Ma- Apr 2009: We have already seen pictures of his eye … now we have the first image of the hand of God. A ghostly blue cloud seems to form an outstretched thumb and fingers grasping a ball of fire. The amazing image was taken by NASA’s Chandra X-ray observatory, which is orbiting 580km (360 miles) above the Earth. 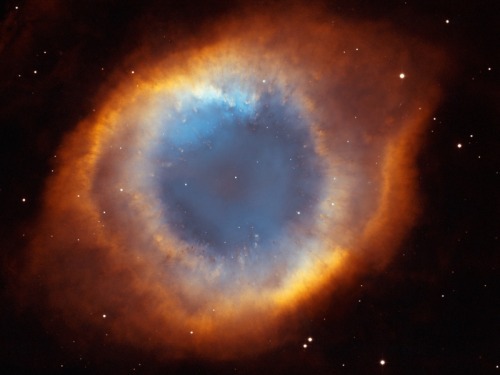 It recalls pictures of the Helix planetary nebula, with its blue centre surrounded by white clouds which earned it the nickname “the eye of God”. 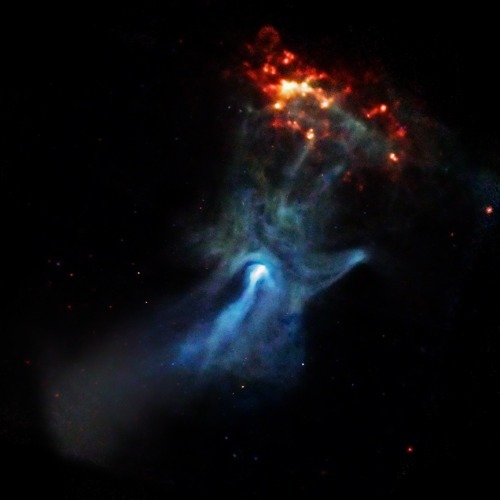 The hand was created when a star exploded in a supernova, creating a rapidly spinning 20km-wide star called a pulsar, which is deep inside the white blob at the hand’s wrist. The pulsar is spewing out enormous amounts of electromagnetic energy, creating a dust and gas cloud so wide it would take 150 years to cross at the speed of light. The red disc is a separate gas cloud. The fingers are thought to have been created as energy passed from the pulsar to the gas cloud.